And everything in between. Need some cute fall boots? Or some new curtains to brighten up your space? CSN Stores has you covered. With the holidays not-so-far-away (I know, I know, it's not even Labor Day yet, but they'll be here before you know it! ), what could be better than doing all of your shopping at once? I know! Doing all of your shopping at sites that offer free shipping and hassle free returns on just about everything. There's no arguing with that. CSN Stores generously offered me a $60 credit to use myself or offer up as a giveaway to one of my readers and guess what? Christmas Day is about to come early for one of you! Ask your friends to "like" AFOMFT on Facebook by sending them this link - http://tinyurl.com/AFOMFTFBFAN - and post a comment here with the names of each one who does. You'll earn one entry per new friend who "likes" our page and names will be cross-checked. Blog or post on Facebook about this giveaway with a link to this post (worth 2 entries so please post two comments) and make sure your comments include a link to your status or blog post. Please leave a separate comment for each entry (two if you've blogged about the giveaway) and make sure to include a link to your tweet, blog post, etc. All entries must be posted on AFOMFT as a direct comment to this post. Comments on Facebook will not count as entries. This giveaway is open to residents of the U.S. and Canada and ends September 14th at 11:59 pm EST. The winner will be selected by random.org and announced on AFOMFT on September 15th. If the winner doesn't contact AFOMFT within 48 hours, a new drawing will be held so be sure to check back to see if you've won! I get lots and lots of e-mails from people looking for cute clothes for little boys and I have to admit, I usually don't have a good answer. It isn't due to lack of looking, either - for a while, it seemed like all of my friends were having boys and trying to find outfits that weren't too cutesy but still unique and stylish wasn't an easy task. And then I found Alpha Industries and boy, oh boy, are their designs fabulous! Their clothing has distinctive a military feel and for good reason - back in 1959, the Department of Defense recruited the company to revamp the military's outerwear. You know the flight jacket you think of Tom Cruise wearing in Top Gun? He might have been sporting something much different if it hadn't been for Alpha Industries! Alpha recently launched a boy's line, featuring pint-sized versions of their men's apparel. The Collegiate Collection is Ivy League-inspired and full of rugby stripes and school crests. I love the Blaze Jacket all the way on the right of this picture. It has a removal hoodie vest built in! Then there's the Wildlife Collection, which is made up of soft plaid flannels and durable outwear, perfect for the little guy who adores the outdoors. The last collection is the Classic, which draws from Alpha's signature men's designs. This is where the military styling is most apparent. How great is the Classic outerwear? Some of my favorites include the Maverick (See? Top Gun! ), a warm, nylon ﬂight jacket with vintage patches (seen below on the top right); the Weston Jr. (bottom left), a replica of Alpha's larger military-style jacket in authentic army green and the US Navy Pea Coat (middle right) which will keep your little dude warm and looking his ﬁnest. Even the sweaters and shirts in the Classic collection reflect the military in a stylish and practical way. Alpha Industries has men's and women's lines too, as well as some adorable clothes for girls. I'm drooling over some outerwear options for Gabrielle and Alaina. How darling is the 40's style Princess Pea Coat? And the hot pink patent leather Tori Trench is to die for! But in my opinion, it's the boy's lines that really stand out from the crowd. Almost all of the pieces come in sizes from 2T up to 14/16 so there's something for every guy on your list. And consider this - for more than 50 years, Alpha Industries has been manufacturing outerwear to protect Air Force, Army, Navy and Marine Corps personnel. If their designs can hold up to the wear and tear of our armed forces, what your kids will put them through will be no problem! And one lucky AFOMFT reader is going to be able to put Alpha Industries through their paces because the company has generously offered to give away one of their awesome Weston, Jr. jackets! Visit Alpha Industries and post a comment here telling me what your favorite product of theirs is. Please leave a separate comment for each entry (two if you've blogged about the giveaway) and make sure to include a link to your tweet, blog post, etc. All entries must be posted on AFOMFT as a direct comment to this post. Comments on Facebook will not count as entries. This giveaway is open to residents of the U.S. and Canada and ends September 6th at 11:59 pm EST. The winner will be selected by random.org and announced on AFOMFT on September 7th. If the winner doesn't contact AFOMFT within 48 hours, a new drawing will be held so be sure to check back to see if you've won! Congratulations KRISTA! You've won a $25 credit to Sweet Baby Girl! You posted that you'd put it toward starting a charm bracelet for your little girl. I love that idea! Please e-mail me at afomft@gmail.com by end of day Wednesday, September 1st to claim your prize. If I do not hear from you by then, a new winner will be chosen. Even if you didn't win, you can still get a 15% discount on all of your purchases at Sweet Baby Girl! Just enter AFOMFT15 at checkout and the discount will be applied to your order. Please note, the discount does not apply to shipping costs. Happy shopping and and a huge thank you to Sweet Baby Girl for this wonderful giveaway and discount! Sorry I was MIA yesterday but I am in full-on party planning mode right now. Combine that with a full-time job, this blog and two toddlers and things get a little nutty. But since I'm all about celebrations at the moment, I figured I'd share of a few favorites I've seen recently. 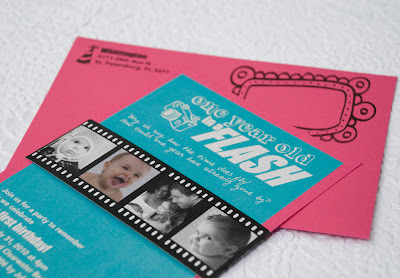 Without a doubt, the most creative theme around has to be this "One Year Old in a Flash" bash Stacy at Elle Belle threw for her daughter, Liv's, first birthday. 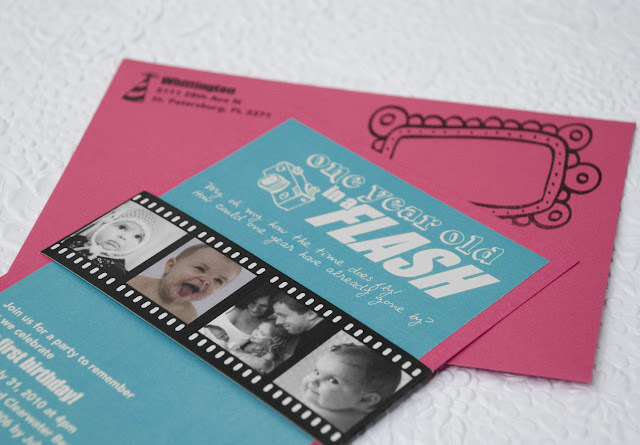 The invitations from Beyond Design are darling and perfectly captured the party's photography theme. So many people write to me asking for unique themes for boy's parties and this one from Brandi of Brandi Brown Events has to be one of best I've ever seen. 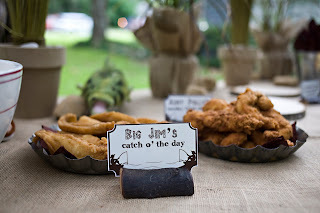 For her twin boys' first birthday, she chose a Tom Sawyer & Huckleberry Finn theme, and together with the fabulous Kate Landers, from Kate Landers Events, she created something her guests won't ever forget! 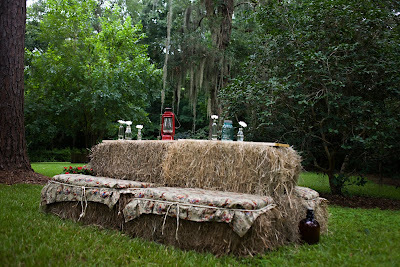 Just take a look at the "hay couch" made to mimic the rustic vibe of life on the Mississippi. There was perfectly themed - and kid-friendly - food. 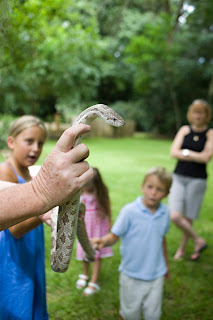 And she even brought in live animals from a local zoo to delight the kids. 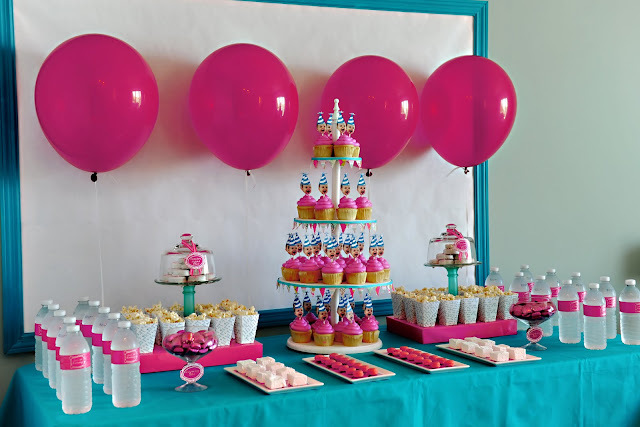 Kori Clark from Paper & Pigtails also came up with a one-of-a-kind theme, designing a stunning bash for her daughter's birthday based on Lilly Pulitzer's Tort Party ware. The result was a Preppy Turtle party that girls of any age would die for. I adore the gorgeous combination of patterns throughout the party and the small details that pull everything together. Look at this divine this dessert table! Again, the food was kid-friendly - Cheerios, powdered donuts and cupcakes were the perfect treats. 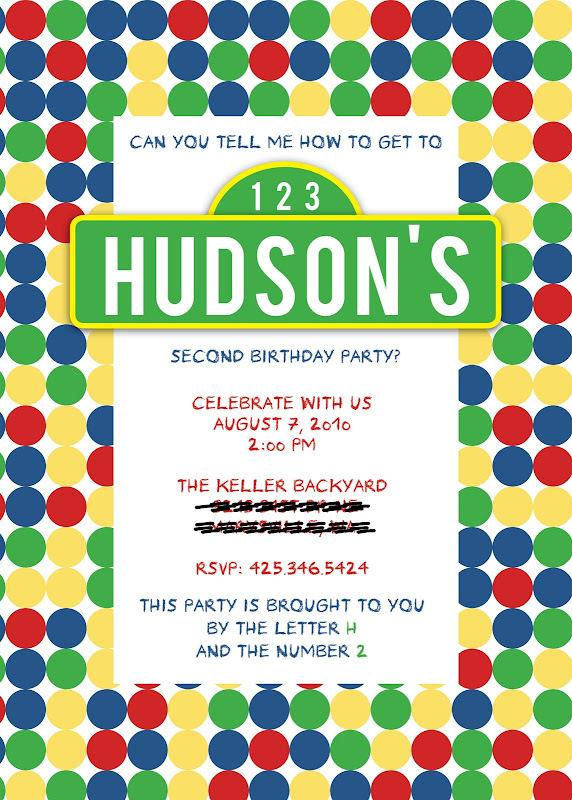 And last, but not least, this fantabulous Sesame Street themed soiree that Jenny Cookies threw for her son Hudson just knocked my socks off. Even rain couldn't put a damper on this playful party. The invitation from Less Ordinary Designs set the tone for everything. Guests even took home their own goldfish as favors! Is that the cutest or what? 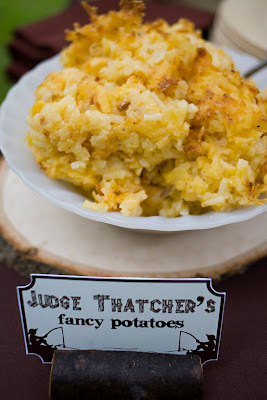 I hope you enjoyed a little peek at some fun festivities! Do you have a favorite party or one you want to share? We want to hear about it. You could be featured in our next party round up. 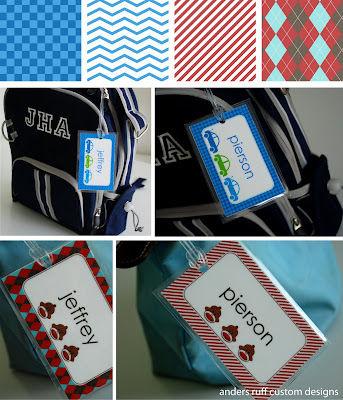 I shared some of my favorite Back-to-School finds over the weekend but new ones keep popping up everywhere so I wanted to post a few more before your little ones hop on the bus. And a fun ABC flower bouquet. 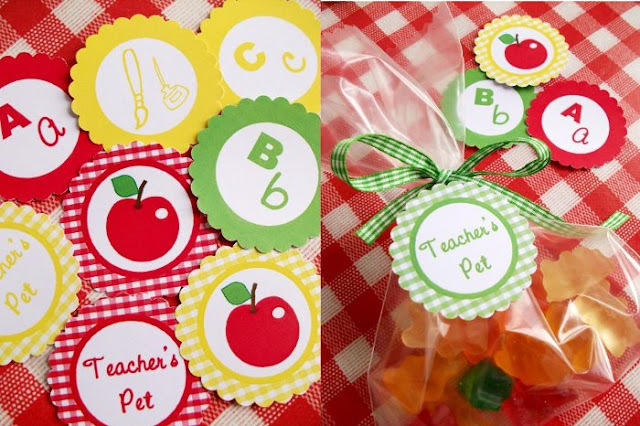 And I love this fabulous back-to-school party pack from Brandi from Tweedle Dee Designs! It includes punchable circles (perfect for tags or cupcake toppers), a banner, lunch box notes and more, and you can download it all for free. 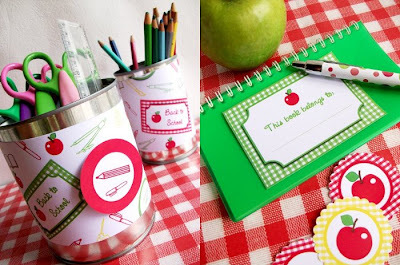 Bird Crafts has a set of free party printables too, and I adore the gingham. 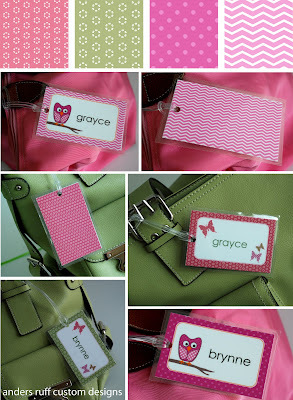 And last but not least, you can make some adorable bag tags with these templates from Anders Ruff. There's a free downloadable set for girls. Can you stand all of the back-to-school cuteness? Me either. Sara commented on my round up of goodies over the weekend saying she had to find a way to save them for when her kids were ready for school so I wanted to recommend a free website I love called Springpad, which is basically like an online scrapbook. Once you sign up, you download the Spring It! button onto your computer's toolbar and anytime there's a blog post, a product, a recipe or what-have-you that you want to save online, you click the button. It then asks you if you want to tag the item (I have categories like parties, freebies, dessert tables, gift ideas, crafts, back-to-school, etc.) and if you want to save any media (I tend to include pictures) and when you're done, it saves the bookmark into your Springpad. When you want to looks something up, you can sort by keyword (I clicked back-to-school for this post) and it pulled up all of the ideas I'd saved in that category. I don't know what I'd do without this application - it's the only thing that keeps all of the things I find organized and accessible. Hope you like these fun finds and if you've seen any I missed - or if you try Springpad - let me know! And if you have a second, please click this banner and then the "Cast your vote now...." graphic to vote for AFOMFT on Top Baby Blogs. Danka! Want to know how I'm sure Gabrielle and Alaina are girly girls? They are obsessed with jewelry. Even as a newborn, Gaby always grabbed for anything with bling, and for the past six months, Alaina has managed to transform everything from bath toys to hair elastics into makeshift bracelets. They're not even two yet but they know they like their jewels. Guess they take after their mama! All sized for little ladies. Since Gabrielle and Alaina don't have pierced ears yet and I worried that they might strangle each other wearing necklaces, I decided bracelets were the way to go. Sweet Baby Girl has so many cute options to choose from! I love the timeless silver bangle. And the birthstone bracelets seemed fitting since I was looking for something for the girls to wear for their birthday. But what really grabbed my eye were the Freshwater Pearl designs. Shannon from Sweet Baby Girl was so generous to send me two with heart charms for Gabrielle and Alaina, and when they arrived, I was overwhelmed by the cuteness. Aren't they darling? They fit the girls' wrists perfectly and they loved wearing them (pardon the lack of photos but trying to get two almost-two-year-olds to stay still and show off their bracelets is no simple task!). I was super impressed by how well-made they are - even after my duo tugged at them, they were no worse for the wear - and I love the idea that Gabrielle and Alaina will be able to wear them for special occasions for the next few years and then I'll pack them away as keepsakes. Maybe the girls will use them as their something old when they get married or pass them down to their own daughters someday. Sweet Baby Girl has so many wonderful designs that will work for any occasion for your little one. The cross necklaces and bracelets would make wonderful baptism or first communion gifts. And their charms are perfect for a present you can keep on giving. You can choose either a necklace or bracelet as a base and add to it over the years. I like this bracelet with an initial as a starting point. Sweet Baby Girl has charms that just right for every big event in a child's life. How sweet is this Big Sis charm for a little girl who's about to get a new sibling? Worried that your child might break or lose jewelry? Yeah, I was too, which is why I appreciate that the prices at Sweet Baby Girl are so reasonable. I can't wait to dress Gabrielle and Alaina up for their birthday party and put on their new pearl bracelets. I know they'll be showing them off to all of their guests. In my book, it's never too early for a little bling! Subscribe to the Sweet Baby Girl Newsletter. Please leave a separate comment for each entry (two if you've blogged about the giveaway) and make sure to include a link to your tweet, blog post, etc. All entries must be posted on AFOMFT as a direct comment to this post. Comments on Facebook will not count as entries. This giveaway is open to residents of the U.S. and Canada and ends August 24th at 11:59 pm EST. The winner will be selected by random.org and announced on AFOMFT on August 25th. If the winner doesn't contact AFOMFT within 48 hours, a new drawing will be held so be sure to check back to see if you've won! And that's not all. Sweet Baby Girl is also offering readers of AFOMFT offering a 15% discount on all purchases! Just enter code AFOMFT15 at checkout and the discount will be applied to your order. Please note that the discount does not apply to shipping costs. Happy shopping! Please note that Sweet Baby Girl sent me two bracelets for the purpose of this review but I was not paid to write this post. The opinions I've shared of their products are my own and yours may differ. Guess Where I'm Going Tomorrow Night?